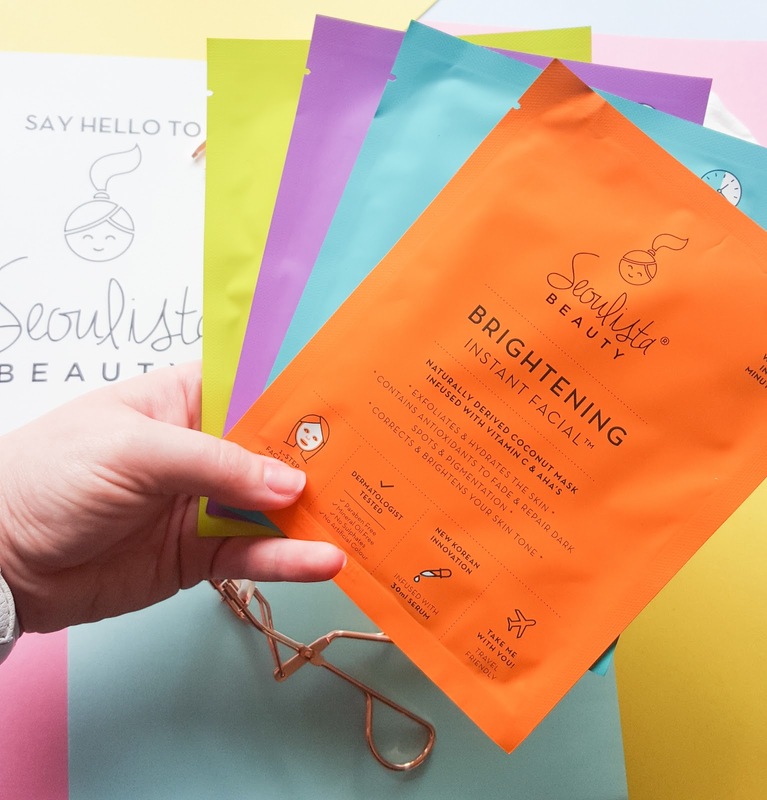 Seoulista Beauty have developed a range of Instant Facial, sheet masks and the super bright packaging just screamed right at me, I couldn't wait to get started with them. New to Irish/ Northern Irish shores as of September, Seoulista Beauty is a new brand who have merged Korean skincare and innovative product design to develop a range of four masks that you'll be able to add to your basket while picking up your essentials from the local pharmacy. Each pack contains a mask, infused with 25ml of serum for each skin condition and they are designed to give you salon-quality results, at home in just 20 minutes. 🍊 Brightening Instant Facial - a natural coconut gel-like mask packed full of Vitamin C and AHA's, to help exfoliate and smooth the skin, while fading dark spots and pigmentation caused by the sun. 💙Super Hydration Instant Facial - Again, another natural coconut gel mask that has that swish ingredient we all love right now; Hyaluronic Acid. This was the mask I was instantly drawn to as I adore Hyaluronic Acid and have been trying to add it into my routine as much as humanly possible. This mask is designed to provide intense hydration to quench dry and hydrated skin and in 20 minutes, you're left with a plump, more radiant looking complexion. 🍇Charcoal Detox Instant Facial - If charcoal is your thang, this natural bamboo mask should be in your basket right now. The Charcoal Detox Instant Facial is all about cleansing and purifying your skin. It's a no-mess mask that is packed full of charcoal and volcanic ash to eliminate impurities and toxins. 🌟Correct & Calm Instant Facial -Witch hazel and eucalyptus pumped into a gel-like mask - yes please!! 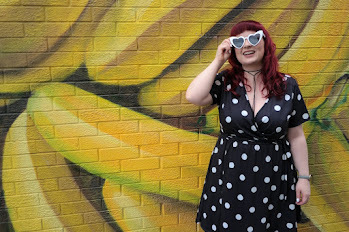 To help reduce redness, blemishes, large pores (anything to help with pores is always a YES from me) and skin irritation in 20 minutes is right up my street. This Instant Facial is designed to leave your skin hydrated, revived, smoothed and soothed. 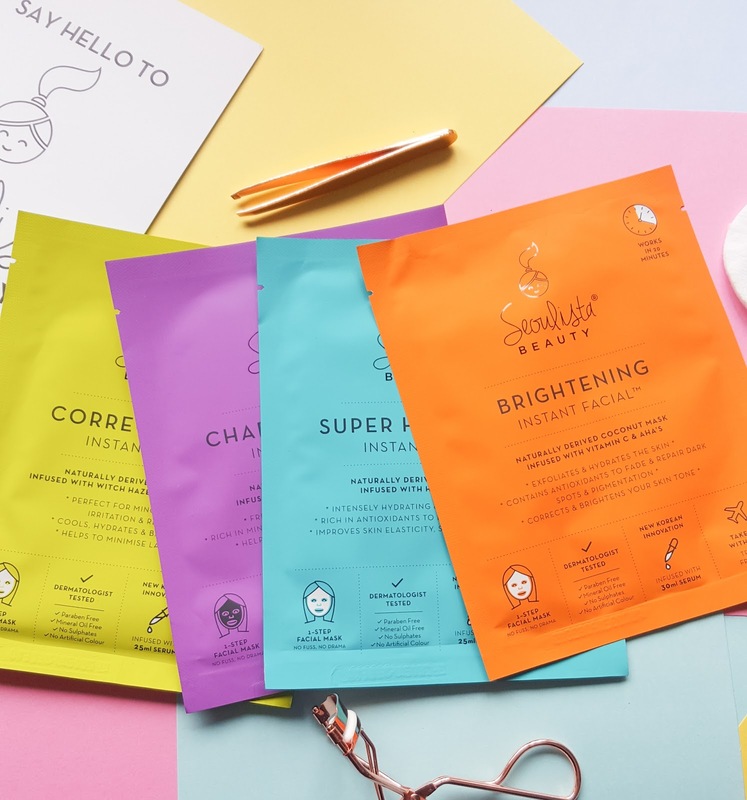 Not only are these naturally derived masks bright, fun and innovative, I love that Seoulista Beauty have managed to create the range while still being 100% cruelty free, free from parabens, sulphates and mineral oils. Do you have a sheet mask addiction like myself? Never tried any sheet masks but these look lovely! The yellow sounds right up my street! Never tried sheet masks! 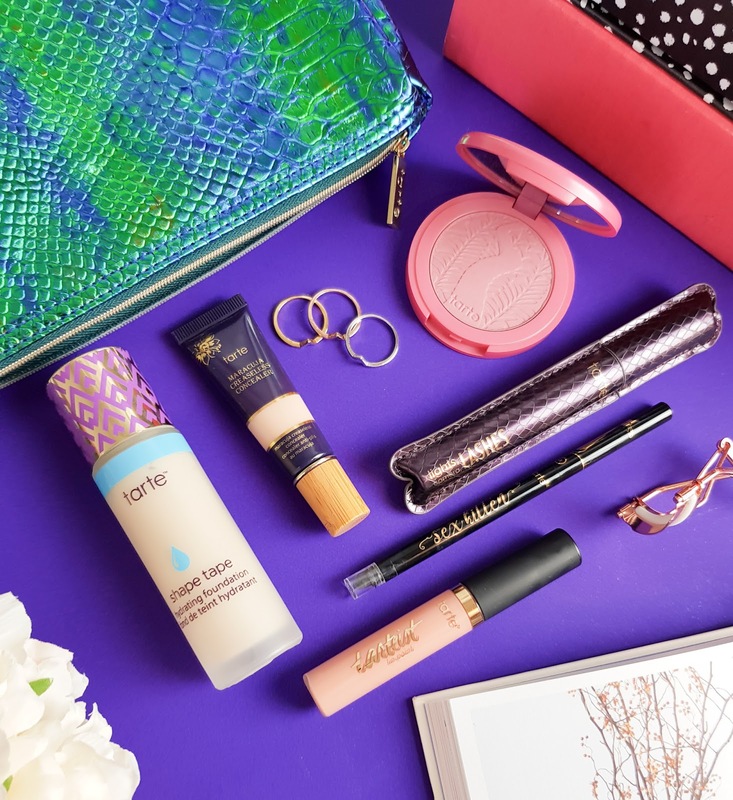 I always have the fear that my super sensitive skin will just freak out! I must have a wee look for these and maybe give them a go!